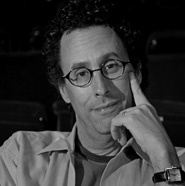 American playwright and screenwriter, Tony Kushner was born in Manhattan but grew up in Lake Charles, Louisiana. In the early 1990s, he wrote and produced the Broadway blockbuster Angels in America: A Gay Fantasia on National Themes. The seven-hour, two-part play earned Kushner the 1992 Pulitzer Prize for Drama and two Tony Awards, and captured the emotional and political depth of the AIDS crisis. Kushner also wrote A Bright Room Called Day and Slavs!, as well as several adaptations including Goethe's Stella, Brecht's The Good Person of Setzuan, and S. Ansky's The Dybbuk. His 2003 musical Caroline, or Change highlighted black-Jewish relations in the 1960s South through the lens of a young Jewish boy and his family's black maid; the musical won a Tony Award and five additional Tony nominations. In 2005, he coauthored the screenplay for Steven Spielberg's Munich, a film about the murder of Israeli athletes by Palestinian terrorists at the 1972 Olympic Games and its aftermath.